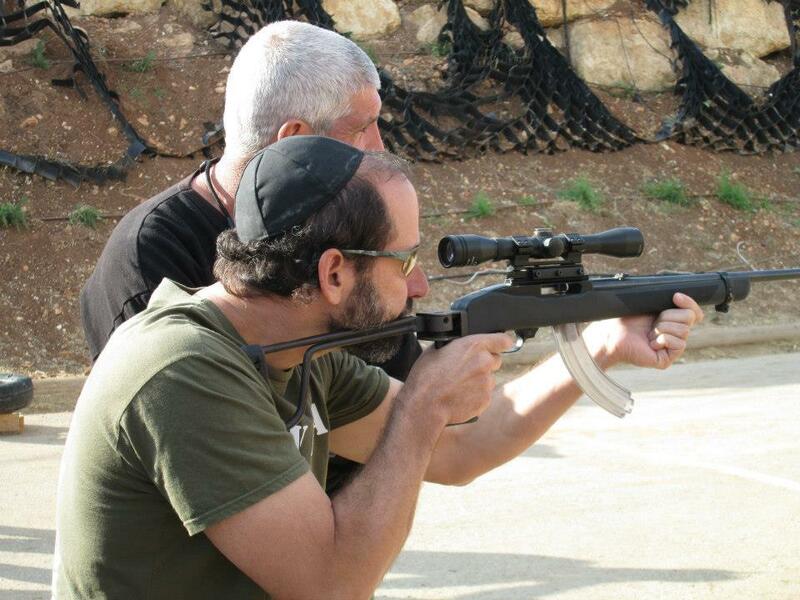 So where does the "Moshe Katz Krav Maga" story begin? 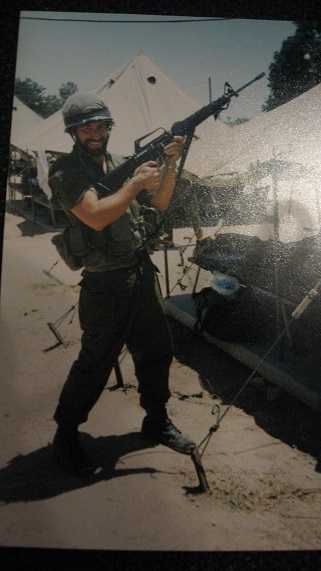 I began my martial arts training sometime in the 1980's when I was a yeshiva student (Rabbinical college) in Jerusalem. Rabbi Meir Kahane, of blessed memory, tried to encourage us to learn martial arts but, I needed a little push. That push came from my sister-in-law Michelle who had just seen the film " The Karate Kid ", she told me I must see it. That did it. I was hooked on Mr. Miyagi and Karate. I signed up for lessons in Shurin ryu Karate with an instructor named Chaim Jaffe. I still remember my first day; the sweat filled gym brought back found memories of high school. I was "sold" right away but had no idea this would become my life long pursuit. I wrote an aerogram to my parents that I thought "Karate would be good for me." When I returned to New York I trained for two years in the full contact style of Kyokushin Karate with Saiko Shihan Shigeru Oyama. Those were great times. After three months I had my first visit to the hospital, St. Vincent's. The occasion was a round house kick to my nose. Then it was a visit to St. Luke's after my knuckles got hurt breaking boards; good memories. More hospital visits would follow. I returned to Israel after being graduated from Bernard Baruch business school (New York City), and began looking for a place to train. After spending some time in Shotokan Karate a friend suggested I check out Itay Gil's full contact school. It was love at first kick. 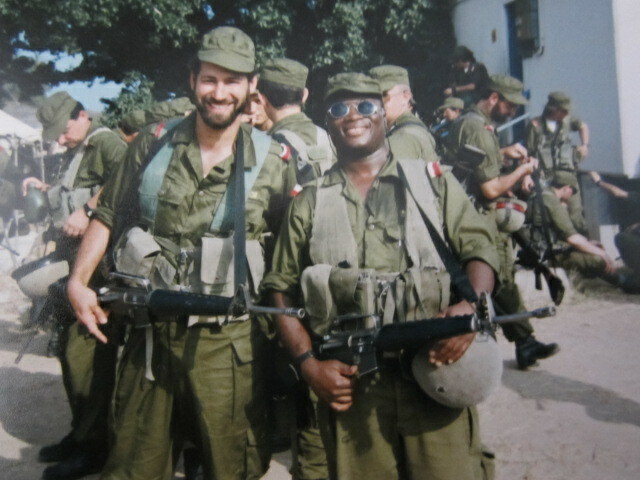 At the time Itay was not known outside our local circles, the training was tough, very tough and unforgiving. I worked my way up. I paid my dues. I put in eighteen years of hard training. Itay would say "Just as I know the sun will rise in the morning I know that Moshe will be on the mat." The hard hitting style of Itay's Krav Maga gym was what I was used to back at the Oyama dojo in New York. I suffered my share of injuries and loved every minute. I began once again at white belt and worked my way up the ranks. Itay's school had the hard hitting full contact sparring I was used to but it had more. It had the Israeli self defense approach known as Krav Maga. At the time Itay did not refer to it as "Krav Maga", in fact we never used any names, we never discussed lineage, we just trained. Only years later he told me that in fact the self-defense portion of our training was Krav Maga as he was taught in the military and as he had further developed it. That is why I hold ranks from Itay both in Free Style Kickboxing and Krav Maga. After many years of training I earned the rank of 4th dan black belt in Krav Maga, the only such rank ever awarded by Itay Gil. My current rank in Krav Maga is seventh dan black belt with the title of "Master". These ranks were awarded to me by international organizations in recognition of my ability and my contribution to Krav Maga and self-defense. Although I did not seek any of these ranks I am honored by them. As IKI has developed into it's own interpretation of Krav Maga I do not seek any new ranks. I made yearly visits back to the USA to train in and explore various different styles of martial arts. I trained with my old pals at the Oyama dojo, the name being changed to World Oyama Karate. I trained in Wing Chun kung fu with Sifu Chun Kwok Chow. I also did some brief but enjoyable training with other great instructors such as Benny The Jet Urquidez, David James of Vee Arnis Jujitsu, Alex Sternberg of Shotokan Karate, Sifu Maurice Llewellyn, (Wing Chun), Renzo, Royce and Rodrigo Gracie. They have all added to the depth and understanding of my Krav Maga. When walking around New York City, I spotted some members of the Guardian Angels , a group I have always admired. We got to talking about martial arts, before I knew it I was training with them at their center. I was even awarded my own Guardian Angels nickname, Papa Smurf. Years later I was awarded a special members pin by the Edmonton branch of the Guardian Angels. In 2002 I fulfilled a dream by finally attending Karate College training camp. I did so for four summers and hope to return again. There I trained with some of the greatest instructors of our times. I wrote about them in my "Martial Arts Leaders" page. One instructor who I have continued to train with is Professor Arthur Cohen. (until his unfortunate passing). 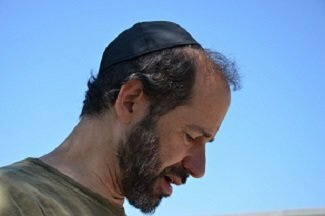 Professor Cohen has taken me to a new level beyond technique. Besides his outstanding applications of techniques for street situations, he has opened my mind to psychological aspects of self defense, environmental factors and the sociology of crime. He certified me as a Control Points instructor. Today IKI has evolved into it's own style of Krav Maga. Drawing on my many years of training with some of the worlds best instructors and fighters our style is a distilled from of self defense, simple, direct and effective. The Guardian Angels, New York, Edmonton, Canada. 5th dan Black Belt, Jujitsu, United Black Belt Federation, November 11, 2008. 2nd dan black belt, - Krav Maga, Sensei Itay Gil, Jerusalem, March 16, 1999. Rabbinical College - Mercaz HaRav Kook, Bet El, and other institutions, Israel and the USA.